Visit the Demand Driven World site to download compelling demand driven case studies by manufacturing companies across a wide range of industries. Visit the Demand Driven Institute’s website and learn about their internationally accredited programs on the demand driven concepts. 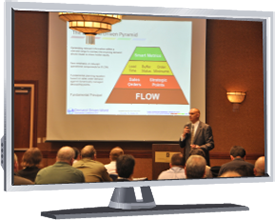 Visit the Demand Driven World’s General Education page for informative introductory presentation. Visit the Demand Driven World download section for a complete library of Demand Driven Downloads. Papers in English, Spanish and French are available. Visit the Demand Driven World video section for an extensive library of Demand Driven Videos. 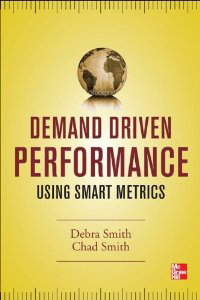 What if the objective of minimizing unit product cost that is hard coded into all reporting and measurement systems is simply “bad math” that drives decisions and actions that destroy ROI? In today’s volatile, globally competitive environment, new decision‐making tools are required to monitor, measure, and improve total organizational performance. Adherence to “old” operational rules, tools, and behaviors is killing competitiveness in most enterprises. A fundamental shift is required. 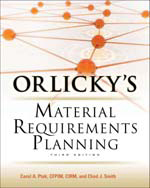 The third edition of Orlicky’s Material Requirements Planning is a must read if you want to complete the Demand Driven picture for your company.